Serialized in various newspapers of the day, Historia de Ilocos was finally published in two volumes in 1890. The first volume covers Ilocos’s prehistory while the second volume deals with Ilocos history from the sixteenth century onwards. Historia de Ilocos was awarded a gold medal at the Manila and Madrid Expositions.Isabelo de los Reyes wrote from his knowledge and experiences as an Ilocano to further knowledge about Philippine culture. He wanted Filipinos to know their cultural heritage, and to be proud of it. Isabelo de los Reyes y Florentino (1864–1938) may well be one of the most outstanding sons of Vigan, Ilocos Sur, because of his significant achievements in various fields of endeavor. As a journalist, he not only wrote for the major newspapers of his day—Diario de Manila, El Cornercia, La España Oriental, to mention a few—but he also founded El Ilocano, the first paper in a native Philippine language. His experiences as an elementary student at the Vigan Seminary found expression in the articles he contributed to the Propaganda organ La Solidaridad (1889–1895) exposing the abuses of the friars as well as the Spanish colonial government officials. It comes as no surprise, therefore, that he was imprisoned at Montjuich in Barcelona for inspiring the revolution of 1898. Upon his release, he was named adviser to the Spanish Minister of Foreign Affairs (1898–1901). He did not let up in his activities when he returned to the country: he served as secretary of state of the revolutionary government; presided over the first labor union in the Philippines; proclaimed the Philippine Independent Church (1902); translated the Bible into Ilocano; served as councillor in Manila (1918–1919); then representative of the first district (1922–28). Maria Elinora Peralta Imson, is currently a faculty member of the Department of Language, Literature and the Arts of the College of Arts and Letters at the University of the Philippines Baguio, where she teaches English, French, Spanish, and Language and Literature subjects. Before joining the staff at UP Baguio, she taught for some twenty years with the Department of European Languages, College of Arts and Letters at the UP Diliman, where she also served in various academic and administrative positions. 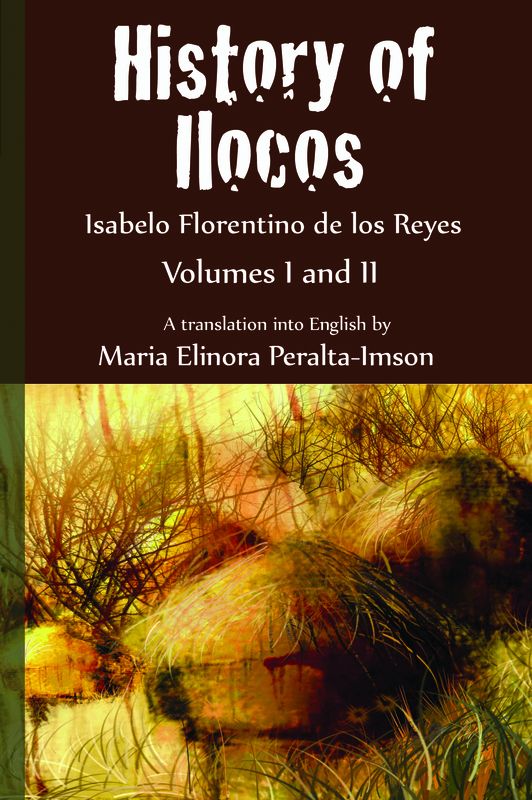 She has to her credit, other publications and translation works, including Isabelo de los Reyes’ The Tinguians, and chapter three of Philippine Folklore, Volume 1.